When I was a young lad of seven and at Cape Hatteras, North Carolina, with my family, I happened upon a man sitting under an umbrella with a canvas and easel before him and a paintbrush and palette in his hand. Using bits and dabs of oil paint, he was creating a seemingly magical image of the lighthouse and sea beyond. I can still recall the intoxicating aroma of turpentine mingling with the salty ocean breeze while gulls wheeled all around. I was mesmerized by the experience and decided that I would become a painter. So I did. 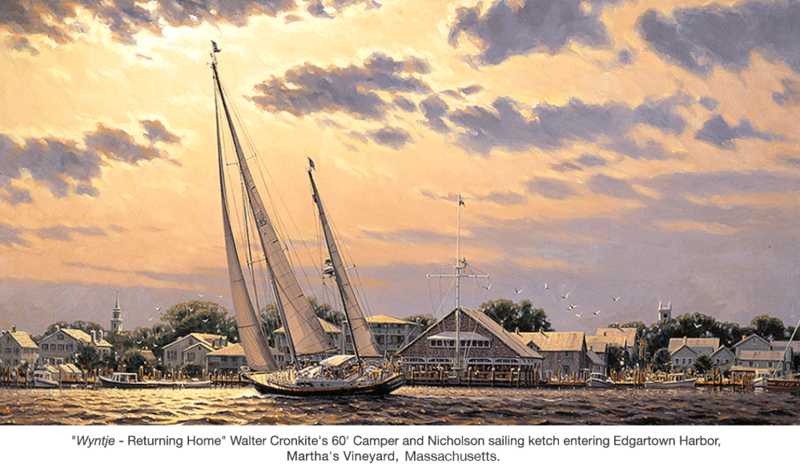 I have spent nearly four decades doing what I love: creating representational maritime paintings in the time-tested manner of the Masters, with a specialty in Chesapeake Bay artwork. I paint the bay’s skipjacks, harbors and lighthouses, as well as private commissions/custom paintings. If you’d like to be among the first to see new work as it comes off the easel, please join my Wet Paint mailing list.